Milkshakes are a perennial favorite on American menus. Though classic flavors like chocolate and strawberry remain ubiquitous, in recent years trends have shifted toward more creative, even outrageous flavors and formats. The freak shake trend, in which shakes are adorned with extravagant toppings like whole slices of cake, has brought incredible energy to premium milkshakes at high-end shops. Premium freak shakes don’t exhaust the possibilities for milkshake innovation, however. These indulgent dessert beverages are great candidates for limited-time offers (LTOs) at fast food or fast casual outlets, as seen by the longstanding success of seasonal shakes at burger chains, for instance. A creative shake flavor, promoted effectively, can tempt consumers to impulse purchases or even become the reason for a visit to your store. 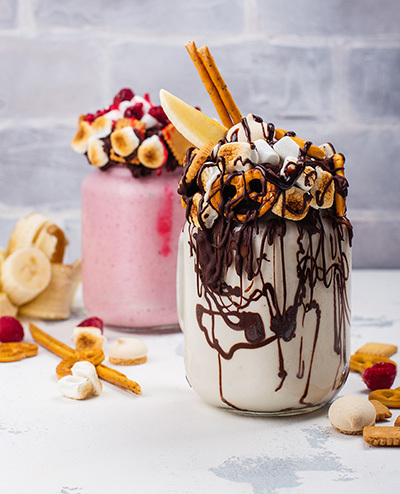 An extravagant freak shake may not be the right fit for your menu, but you still have options for creating intriguing flavors using creative flavor bases, toppings, or mix-ins. Consider the three following directions as possible options for your next menu addition or LTO. 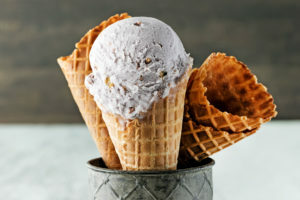 Sweet-savory foods have become very popular in dairy applications recently, from yogurt with spicy notes to salty-sweet ice cream. Additionally, shakes made with bourbon, beer, or other alcohol are popular at cocktail bars and other drink-focused outlets. 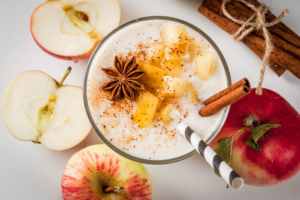 Consumers are thus familiar with savory or boozy notes in a dairy beverage, and you can capitalize with more accessible shake flavors that draw on these trends. Salt, smoke, spice and other nontraditional notes can pair really well with dairy, especially paired with rich, indulgent ingredients like chocolate or caramel. Although milkshakes are a dessert item, that doesn’t mean clean label options lack appeal. As consumers eat more cleanly in general, their tastes have shifted toward products with more natural ingredients. One recent innovation is the hummus shake, which does not taste like hummus, but rather uses chickpeas to create a creamy texture while still delivering conventional dessert flavors like chocolate and vanilla. Shakes made with probiotics and natural sweeteners, like this kefir date shake, also have promise. Finally, even if you don’t intend to develop full-blown freak shakes, milkshakes can remain a great place to add some color to your menu. As our previous post on trending foods indicates, Instagram and other social image platforms have lead to consumers prizing visually stunning foods, especially desserts. Even without the excesses of a freak shake, using toppings or sprinkles to add a burst of color to a shake can be a means to create an exciting LTO or new product. If your brand can use new ideas for an LTO or featured dessert, Parker Products can help. Our extensive range of flavor bases, toppings, swirls, and mix-ins can support shake programs from the classic to the creative. For more flavor ideas, get in touch.